Hong Kong, the people’s republic of China, emerged itself as one of the world’s major destinations for travelers and business visitors. Hong Kong immigration is the best option for people who wish to settle permanently in the country. Hong Kong immigration brings you with a number of benefits including high educational standards, quality living standards, plenty of work options, etc. Skilled professionals can easily migrate to Hong Kong in search of opportunities that help to boost their career. Anyone who wishes to immigrate to Hong Kong need to obtain a respective visa that suits their purpose of visit. Hong Kong Quality Migrant Admission Scheme is an initiative started by the Hong Kong immigration department to attract fresh talents to the country. Hong Kong QMAS is a quota based entrant scheme that is designed especially to lure skilled professionals to enhance the economic competitiveness in the global market. A prior job offer is not required for successful applicants of Hong Kong QMAS to immigrate to Hong Kong. Applicant must be aged 18 or over while filing application for Hong Kong QMAS application. You need to demonstrate that you are holding sufficient funds to meet the expenses of yourselves and your family members. Proficient in English or Chinese (Putonghua or Cantonese). Hong Kong QMAS follows a point’s based system to evaluate the eligibility criteria of prospective applicants. General and achievement points based are the two types of points based tests that are needed to be undertaken by the applicants of Hong Kong immigration. In general points test, Hong Kong QMAS applicants need to score points on certain factors such as age, educational qualifications, language, work experience, and family background. Achievement based points test is for individuals with exceptional talent or skill who have outstanding achievements. 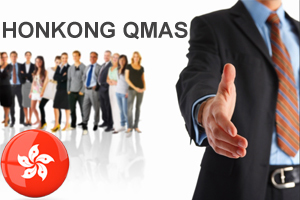 Why People Choose QMAS To Immigrate To Hong Kong?